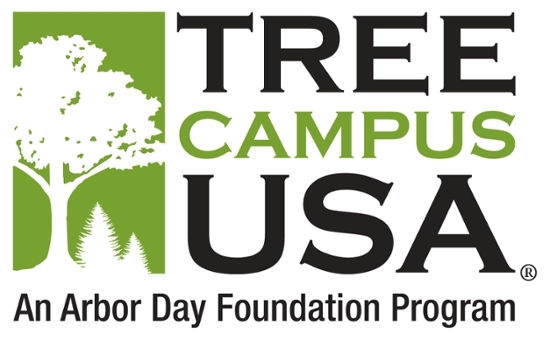 VALDOSTA — Valdosta State University’s unwavering commitment to effective urban forest management has resulted in a sixth Tree Campus USA recognition from the Arbor Day Foundation. VSU will commemorate the occasion with an Arbor Day Ceremony at 10 a.m. on Thursday, Feb. 15, at the STEAM (Science, Technology, Engineering, Arts, and Mathematics) Center for Applied Creativity and Innovation, located in Martin Hall at the intersection of Patterson Street and Jane Street. Faculty, staff, students, alumni, retirees, and friends of the university are invited to attend. The Arbor Day Ceremony will begin with a tour of the STEAM Center for Applied Creativity and Innovation and demonstrations of how trees are involved in science, technology, engineering, arts, and mathematics. Next, attendees will have an opportunity to hear what it takes to achieve the Tree Campus USA designation, as well as learn more about the work behind maintaining VSU’s urban forest and why those efforts are important to the university. • A book giveaway at 9 a.m. on Monday, Feb. 12, at the Valdosta-Lowndes County Library, located at 300 Woodrow Wilson Drive. • An Arbor Week proclamation at 10 a.m. on Monday, Feb. 12, at Valdosta City Hall, located at 216 E. Central Ave.
• Free tree seedlings from 8 a.m. to 5 p.m. at the City of Valdosta Engineering Department, located in the City Hall Annex at 300 N. Lee St.
• A free educational class on proper pruning and common landscape ornamentals from 1:30 p.m. to 2:30 p.m. on Tuesday, Feb. 13, at Wiregrass Georgia Technical College, located at 4089 Val Tech Road, Building 500 Brooks Hall. • A free educational class on planting citrus in South Georgia from noon to 1 p.m. on Wednesday, Feb. 14, in the City Hall Annex Multi-Purpose Room, located at 300 N. Lee St.
• A tree planting to honor Larry Hanson, former Valdosta city manager, at 1:30 p.m. on Wednesday, Feb. 14, at the City Hall Annex, located at 300 N. Lee St.
• The City of Valdosta Arbor Day Ceremony at 10 a.m. on Friday, Feb. 16, at the Women’s Building, located at 1409 N. Patterson St.